A regional bank has appointed Telstra’s executive director of strategy and business to its board. Bendigo and Adelaide Bank has announced the appointment of Vicki Carter to its board as a non-executive director. Ms Carter currently serves as telecommunications company Telstra’s director of strategy and business and has previously held several roles at NAB which included stints as executive general manager of retail banking from 2012 to 2015, and as executive general manager of business operations from 2009 to 2012. The new appointee has also held senior management roles in financial planning for business and agri banking and sales and distribution for MLC, ING and Prudential Assurance. 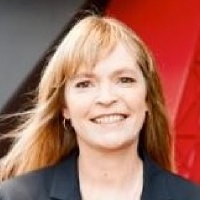 Commenting on the appointment, chairman of Bendigo and Adelaide Bank Robert Johanson said: “Vicki has deep experience in operating businesses in banking, as well as strategic experience in telecommunications and disruptive technologies.